How do I get a product question answered or request a product sample? Please call 610-423-4300 and Press 2 or email kristin.carlin@us.agc.com. How do I place an order, check order status or request an MSDS? Please call 610-423-4300 and Press 1 or email AGCChemicals.orders@us.agc.com. What are AGC Chemicals customer service hours and phone number? Customer service is open from 8:00 a.m. to 5:00 p.m. EST. Call 610-423-4300 and Press 1 to connect to Customer Service. Product Inquiry page in the Contact Us tab, select the product line of interest, and describe in detail the product, quantity and delivery terms you would like quoted. A sales rep will respond to you directly. Note that Incoterms 2010 are now in effect. How can I obtain technical assistance for a particular product? Go to the Ask the Experts link, and complete the form specifying the product line of interest and details of your question. A technical representative will respond to you directly. How do I open an account with AGC Chemicals? Go to the Contact Us page and request that a sales representative call you. They will contact you to obtain your basic information, including billing and shipping addresses, phone numbers and contact names/emails. You will also be required to submit your Federal Tax ID number and state tax exempt ID certificate (for U.S.A. accounts), your DUNS number, banking information and credit references. What types of payment does AGC Chemicals accept? AGC accepts checks, wire transfer and payment in advance by check, if required. No credit cards are accepted at this time. Please call 610-423-4313 or 610-423-4300 and Press 3, or email AGCChemicals.Receivables@us.agc.com. How do I contact Accounts Payable? Please call 610-423-4330 or 610-423-4300 and Press 4 or email AGCChemicals.Payables@us.agc.com. Do you have on-site testing capabilities? Yes, we are able to conduct many types of testing here at our R&D facility. For more details, please go to the Ask the Experts link and complete the form. A technical representative will respond to you directly. Is AGC Chemicals ISO certified? 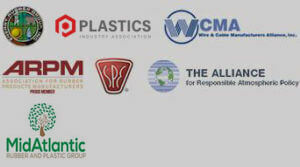 Yes, please see our certifications and compliance information on the home page. Are AGC Chemicals products compliant with FDA, USP Class VI, etc.? Who do I call for employment verification? Please call 610-423-4300 and Press 5 or email liz.bligan@us.agc.com. How do I contact your offices in Europe? Please click on link www.agcce.com. How do I contact your offices in Japan? Please click on link www.agc.com.